Nominations for the Dublin West by-election closed today with 13 candidates declared. Eithne Loftus (Fine Gael), Patrick Nutly (Labour), David McGuinness (Fianna Fáil), Paul Donnelly (Sinn Féin), Ruth Coppinger (Socialist), Roderic O'Gorman (Green Party) and Peadar Ó Ceallaigh (Fís Nua) are among those contesting the election. The six independent candidates are the former Apprentice candidate Barry 'Caesar' Hunt, Benny Cooney, John Frank Kidd, Jim Tallon, Gary Birmingham and Brendan Doris. Voting in the by-election takes place on Thursday 27 October, the same day as the Presidential election. 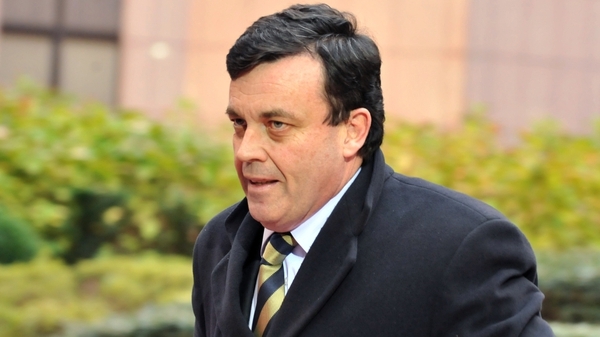 The seat was vacated following the death in June of the Fianna Fáil TD and former Minister for Finance Brian Lenihan.